India generates somewhere between 70-80 per cent of cricket’s global revenues, according to various estimates. These revenues for the ICC are expected to be between $2.5 billion to $3 billion over the next eight years. And while that may already seem like a lot of money, a new initiative could see those numbers continue to grow. 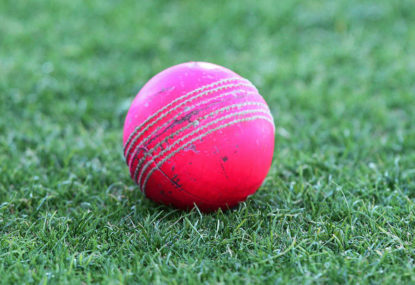 One of the most important experiments in cricket for decades, with the potential to turn around the fortunes of the Test format, is the introduction of the pink ball. For the first time, India will get a chance to see what all the fuss is about this week, when the Duleep Trophy gets underway near New Delhi. The Duleep Trophy is a nearly 60-year old domestic first-class tournament played between teams representing the five geographical zones in India: East, West, North, South, and Central. It is the most traditional tournament in India, which makes it a bold choice to use the pink ball in. However, it also makes eminent sense. The best players in each zone represent each team in the Duleep Trophy, and logically, it’s these players that have the best chance of one day playing Test cricket. Helping these soon-to-be Test cricketers get used to playing with it will ensure future battles with the pink ball is already half won for Indian cricket. Which is why the BCCI is taking this experiment very seriously. This year, instead of the tournament being between zones, it will be between three teams made up of some of India’s best cricketers, playing each other in a series of first-class Day-Night matches over the course of a month. The three teams will be led by senior Indian players such as Yuvraj Singh, Suresh Raina and Gautam Gambhir. Along with veterans who have played for India, the competition will feature a number of youngsters who are only a whisker away from landing a spot in the national team. Some of India’s top order currently playing the Test series in the West Indies, have also been drafted into the competition, with Cheteshwar Pujara and Murali Vijay all slated to play. Yet this experiment in the subcontinent is far more complicated than the infamous Adelaide Test ever was. The red Kookaburra ball has not always survived the subcontinent Test. And this is a very different ball game. The games will be played until 9pm, in conditions where dew becomes a factor in the evenings. The pink ball needs to be visible to the players in the outfield (and of course the batsmen), as well as last 80 overs, and survive outfields which are far harsher than the Adelaide Oval or Lord’s. There is also the fact that traditionally the sub-continental teams have relied on spinners to make the difference in home matches. Will spinners be able to grip the ball well? Will they be able to spin the pink ball off the pitch, like they would have with the red ball? If the answer to both questions turns out to be a no, this experiment will die a quick death. For no team in this day and age will let go of home season advantage for the sake of having a few extra spectators. Certainly not a team that helps generate 70 per cent of the revenue of global cricket. And if India doesn’t buy it, cricket will be the poorer for it, literally. There is a lot more at stake in the coming weeks than just the cricketing future of a few Indian players. To some degree, it’s the future of cricket itself. All of India, and indeed the cricketing world, will be watching with bated breath. A successful tournament will be brilliant for the future of the game.